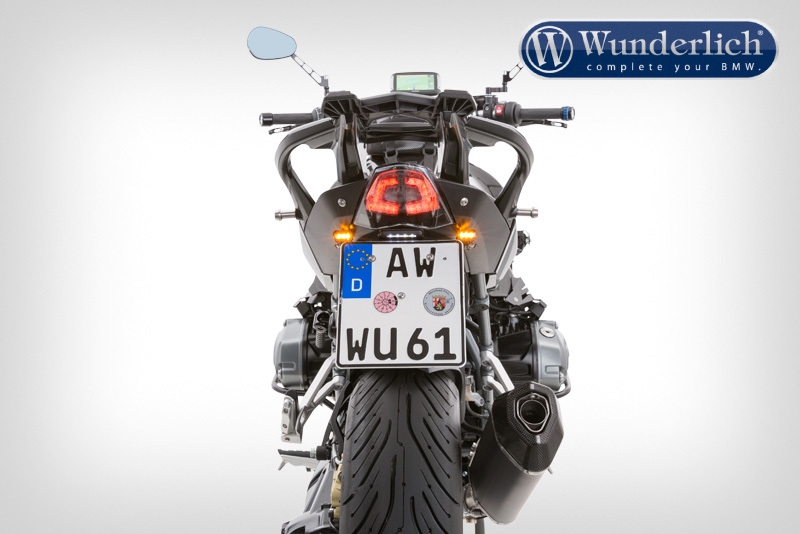 Our Sport licence plate holder for the R 1200 R LC and RS LC is the complete opposite to the unsightly protruding original. 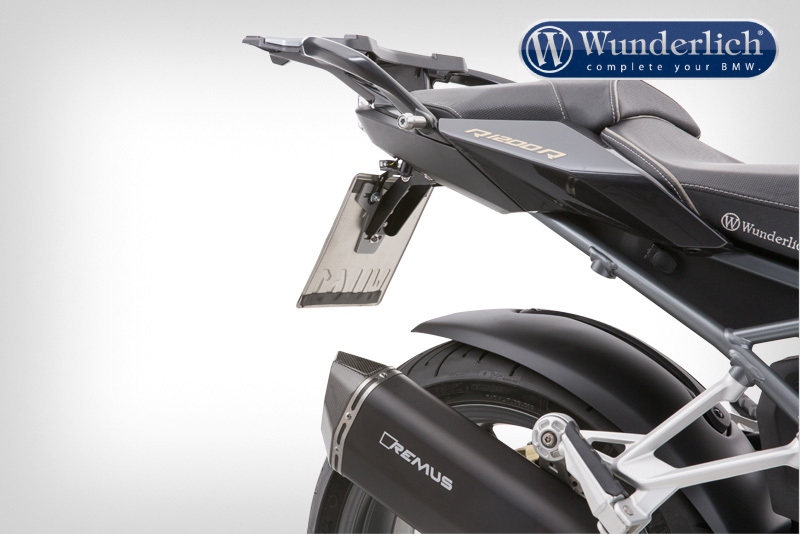 It encompasses the number plate in a lightweight, sophisticated and elegant way and gives the tail section the look of a significantly lighter and sportier line. 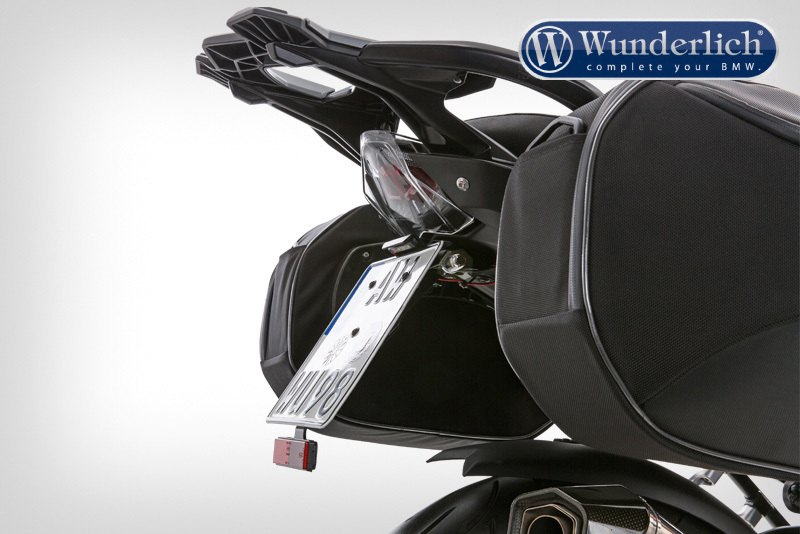 and signal bracket licence plate holder for original blinker item no. 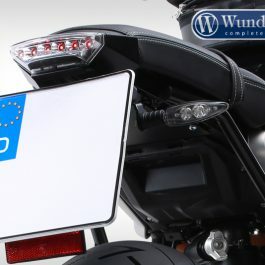 : 38983-102. 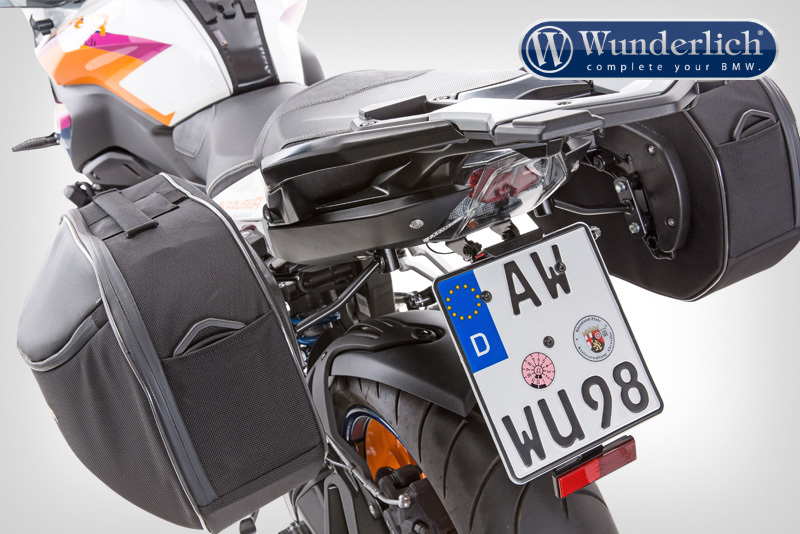 Lighter, snug fitting and bare essentials reduced aluminium number plate holder. Number plate height-adjustable via slots. 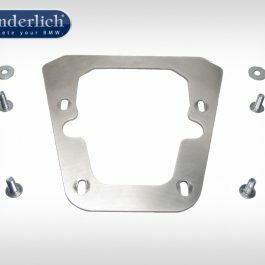 Number plate drilling template same as original (no need to drill new holes). 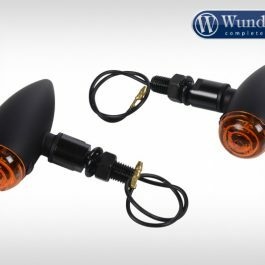 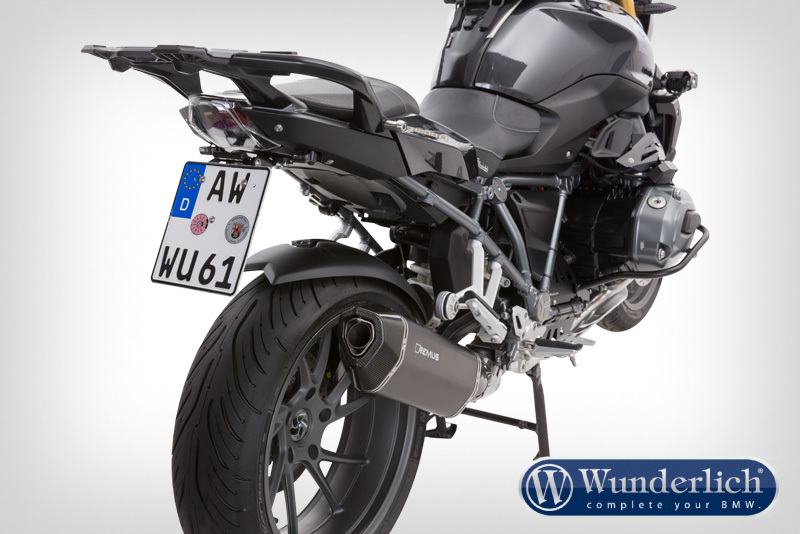 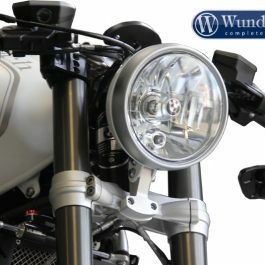 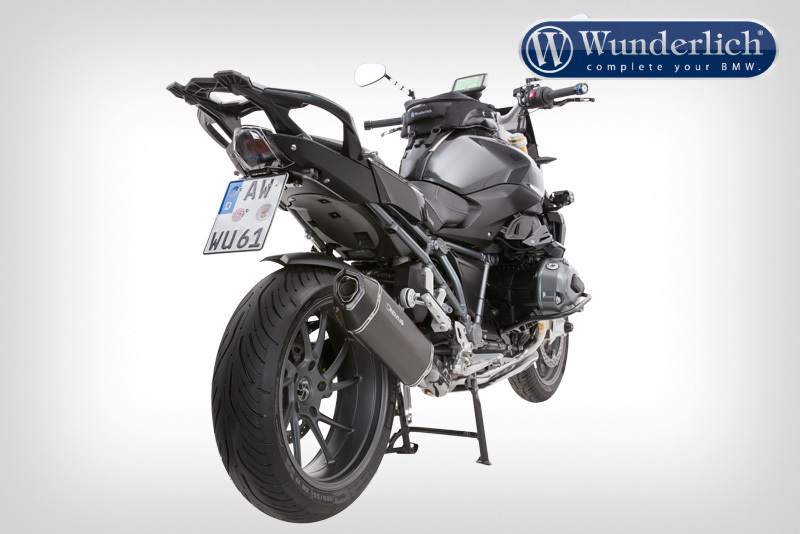 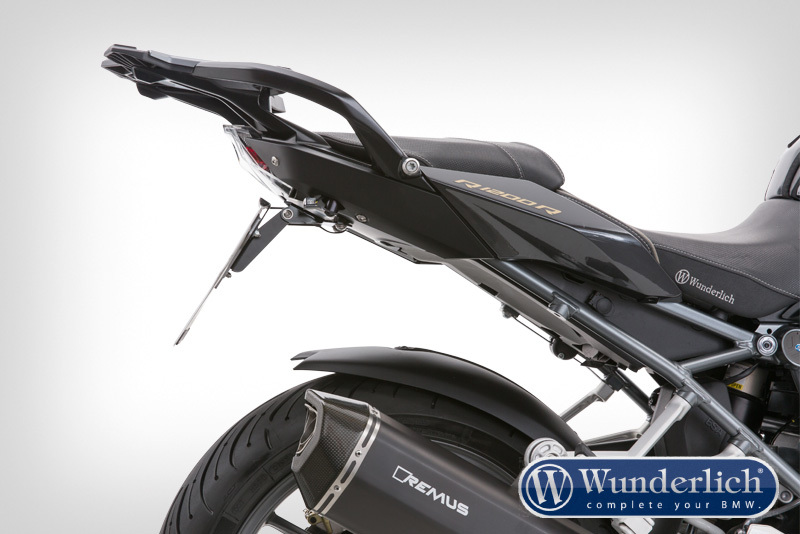 Be the first to review “Wunderlich “SPORT” tail section licence plate holder R 1200 R / RS LC” Click here to cancel reply.